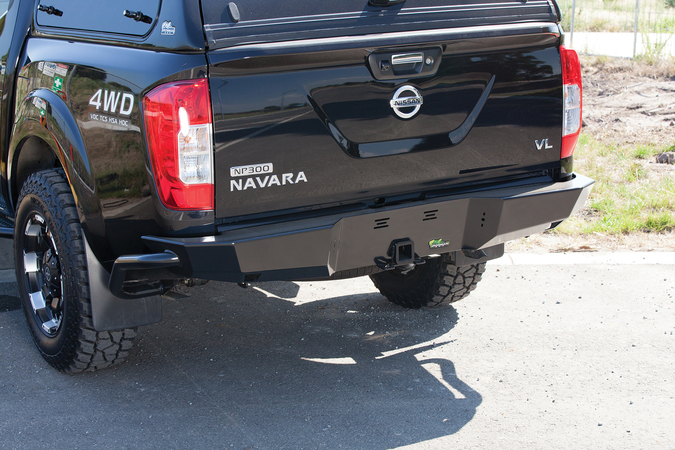 maximising clearance, the Ironman 4×4 Rear Protection tow bar is the ultimate in rear protection and styling for your dual cab 4×4. 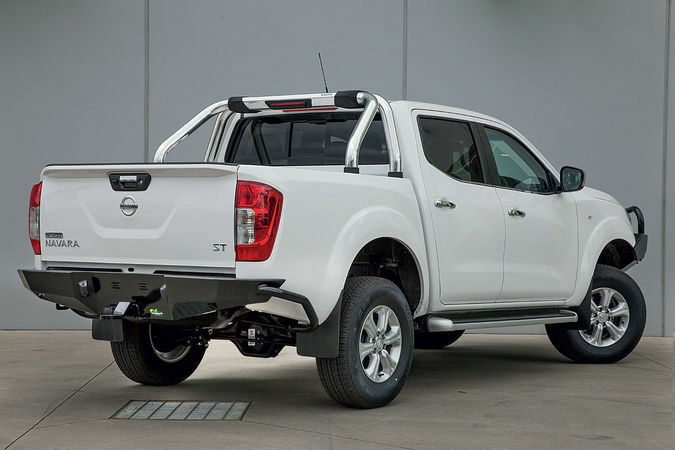 Made from thick 4mm steel to ensure maximum strength and protection, the bars (on all but Hilux) are coupled with stylish side tubing that provides protection for the vulnerable rear sills and sides of the tub as well as re-enforcing the bar. Built into the bar are rear tow points, as well as two high lift jack points allow for the safe and stable application of high lift jacks on either side of the vehicle. 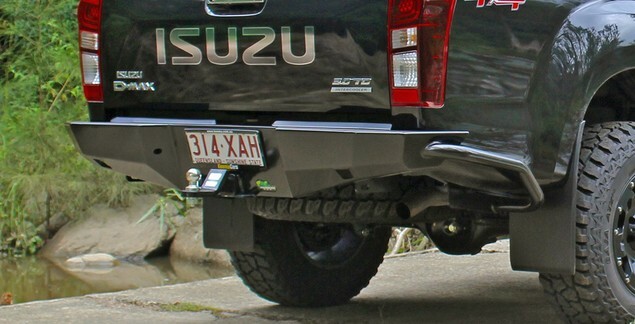 Also included is a 50mm tow ball and tongue. 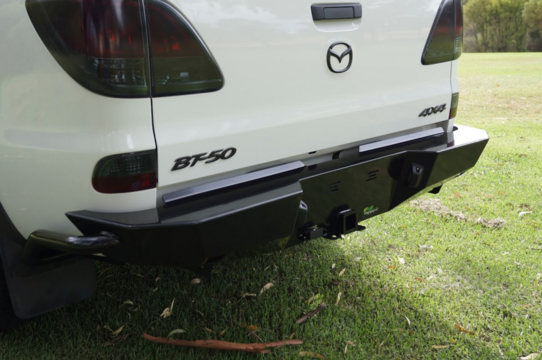 The integrated hitch receiver is rated for a towing capacity of 3500kg (check manufacturers maximum towing capacity for your vehicle’s application) and there is a (separately sold) plug and play wiring loom to hook up to the vehicle, ensuring simple no cut installation for seamless compatibility. 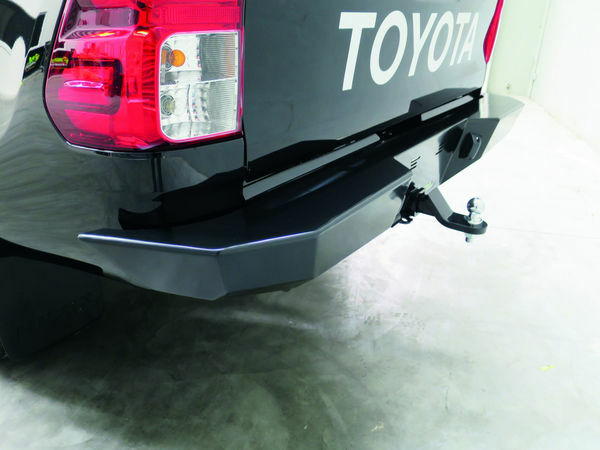 Space to install a 7-pin flat trailer plug is also incorporated into the bar to securely connect trailers and vans. 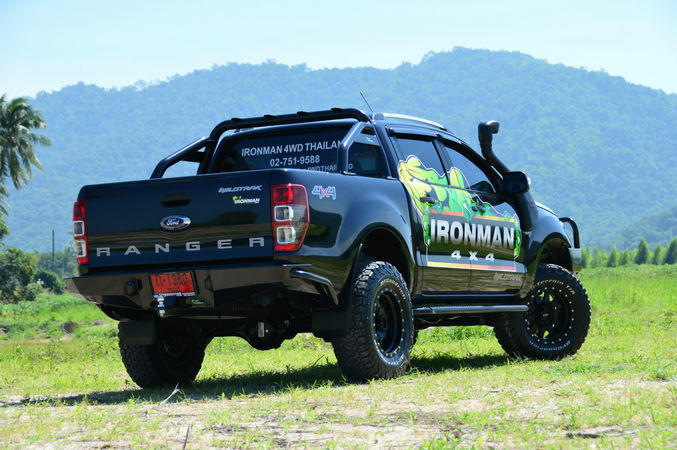 Ironman 4×4 has developed a range of step plates to suit our popular Rear Protection Tow Bars. 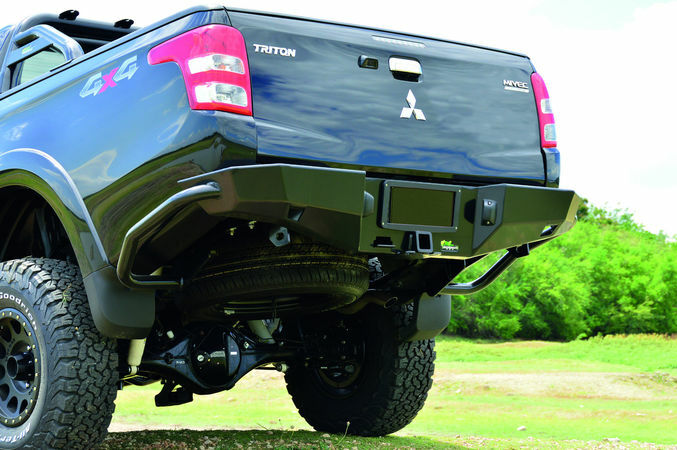 The step plates provide additional grip for those customers who would like to use the rear bar as an access step. 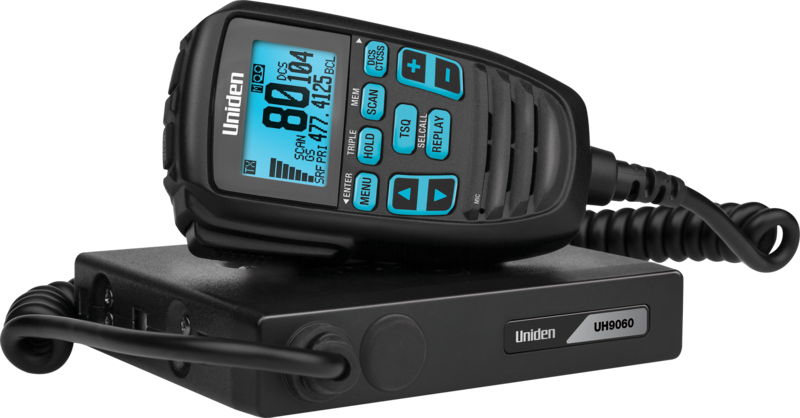 The plates are made from steel and powdercoated in a textured black finish. 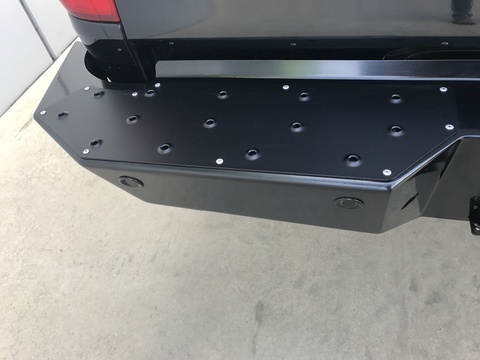 Easy to fit and come with the pop rivet to fix them in place, the step plates will be available as an optional extra that can be added onto the rear protection tow bar.